just what the journey's for." 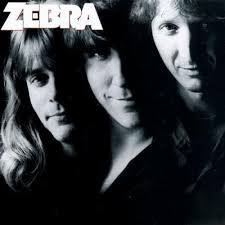 If I were to put together a list of just a few of the most underrated bands (to emerge out of the eighties) that I've had the pleasure of cranking through my stereo speakers or melting my headphones...the oft-forgotten Long Island trio...Zebra...would definitely be on it. Their self-titled debut was one of the fastest selling albums in Atlantic Record's history. 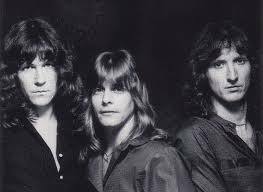 And their studio albums, four at the present, have all received high praise. Yet more often than not, while sitting in a pass-around circle discussing merits of really good bands,...Zebra seems to get low-balled. Never an easy band to quite pin down. Zebra was heavy rock, for sure. Soft metal-prog, perhaps. Occasional flashes of Zep and glimmers of Rush can be heard, but comparisons are never fair. Toss your label tags in the bag, they'll only get in your way. Zebra were smart, fresh, and consistently on their game. They were a bit of all these gorgeous sounds. And like all of our favorite under-appreciated bands we hold so dear...they deserve better. 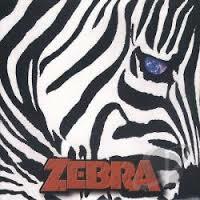 Casey Chambers: Zebra's self-titled debut was one of the most under-rated albums of the '80s. How did you guys hook-up to form the band in the first place? Randy Jackson: When I got out of high school, I was working at a bar in New Orleans called The Library. Felix Hanemann (bass, keyboards) worked at a little clothing store next door. One of the guys I was working with was in a band with Felix at the time called Shepherd's Bush...and they needed a guitar player. So I joined Felix's band and we played together for about a year. And when that band broke up, the manager of The Library said he knew a really good drummer who had just moved to New Orleans from California. I went down and met Guy Gelso in French Quarter. We got together. Started rehearsing a little bit. Felix joined us a couple months later. And that's how I met them. Casey Chambers: When did you guys decide to make the jump to New York? Randy Jackson: We had been playing for two years at that point. That was 1977. Actually, it was in late 1976 when we made the move up to New York. We felt we'd have a better chance at getting exposure to record labels if we moved out of New Orleans. We could have went to Los Angeles but we knew some people in New York. Had some connections on Long Island. Our first gig up here was on New Year's Eve...1976. Casey Chambers: You're in New York. New Year's Eve. First gig. That had to have been really exciting. Casey Chambers: Was it difficult making the transition to The Big Apple? Randy Jackson: Y'know, we weren't in Manhattan. New York City is certainly a completely different place than Long Island. Long Island was really kind of an easy transition for us. It was the suburbs. I didn't find it too much different from what I was used to in New Orleans. It wasn't that rough. Casey Chambers: Tell me about one of the clubs you enjoyed playing in those early days. Randy Jackson: On Long Island, we played a place called Hammerheads in Levittown. It had two stages. One on each side of the room. They kinda face each other. Usually, they would have two bands playing. We actually opened for a lot of bands in that place. We opened up for Twisted Sister there. I remember we played with Leslie West. So we got exposed to a lot of people very quickly by opening up for all these bands. Actually, we became great friends with Twisted Sister. When we eventually got our record deal, we were managed by the same manager and it was like a healthy rivalry here on Long Island with Twisted Sister and Zebra. I would talk to Jay Jay (French) probably once a week. He was always wanting to know how we were doing. How many people we were drawing. 'Cause the scene was really, really good. Everybody was doing...if you were a musician and you couldn't make money back then in Long Island, you better just hang it up. Because there was a lot going on. The scene was just real healthy. Casey Chambers: Excellent. Can you remember the first time hearing Zebra on the radio? Randy Jackson: Yeah, it was up here in New York. It was from a demo that we had made. It was on a station called WBAB. Probably like in 1979. And the radio station had a program director named Bob Buchmann. He really liked the band and had us give him our demos. And he started playing some of our songs on a show called "Homegrown" and they just went right into regular rotation. We didn't even have a record out yet and we were getting played. I remember the first time I heard us. I was on my way home from a gig. It was really, really early in the morning. We used to play 'til 4:00 am sometimes and I was driving back to Long Beach when I heard it. And y'know, I don't even remember what the song was now. It might've been, "Take Your Fingers From My Hair". It could have been that one. But I do remember hearing us and it was very exciting. Casey Chambers: So how did Zebra score its deal with Atlantic Records, anyway? Randy Jackson: We had made a demo for Atlantic and they turned us down the first time. It was the same demo that the radio had been playing. Our manager at the time tried to get us a deal, but Atlantic thought the stuff was dated. They weren't that thrilled with it. But then a couple of years later, a guy named Jason Flom from Atlantic was visiting WBAB...and Bob Buchmann told him they should really be checking this band Zebra out. The station had been getting all these requests for us and five of our songs were the top ten requests at the station. Jason was brand new with Atlantic and he was pretty impressed. He took that information back to Doug Morris, the president of Atlantic, along with our tape...and from there we got signed. The same tape they had heard before. It was just different people at the label who were hearing it that time. Casey Chambers: Different ears. The business plays with loaded dice sometimes, doesn't it? What were those songs on the demo? Did they all make your first album? Randy Jackson: Yeah, they did. We had "Who's Behind The Door". "Take Your Fingers From My Hair". I think "One More Chance" was on it. "As I Said Before" and "Don't Walk Away". Casey Chambers: That's a pretty strong hand. 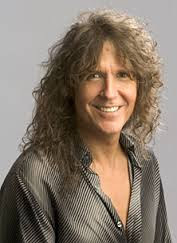 Now your first two albums...."Zebra" (1983) and "No Tellin' Lies" (1984)...were both produced by the legendary Jack Douglas...who had worked with artists like The Who, vintage Aerosmith, Alice Cooper, John Lennon to name just a few. How cool was that? Randy Jackson: It was exciting. We needed to get a producer and Jack was at the top of our list. 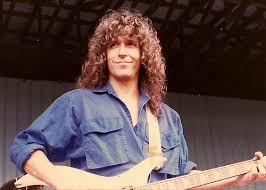 He had started out as an engineer and played bass when he was younger. So he had touched on all these things throughout his career and was able to do a lot for us. And he was a lot of fun to work with. He had just gone through that whole tragedy with John Lennon getting killed. He and John had had a great working relationship over many years of recording together. I'm sure he was still kind of shell shocked. It was 1981 or '82 when we got our record deal and we finished it up in '83 so...he was just coming out of that. Casey Chambers: I bet. With a good producer there's quite a bit of give and take. Add a little, take a little. An extra set of fresh ears will do that. Did you guys find it difficult to let go? Randy Jackson: It was good and he had some good ideas. I remember particularly...there was an end keyboard part on "When You Get There." It was something that I wouldn't have been able think of. You can hear it in the background. And there was a couple of little arrangement things he wanted like on "The La La Song"...us singing over the riff was kind of his idea. We had a different version where we played a whole other section. Jack wanted to take the section out, so the song ends the way it does on the record. That I didn't agree with. I think the song would have been nicer if we had left the end part the way we had it. The song was long anyway, so that didn't really make any difference...and the end part was cool. People still ask us to play it, even today and we do. Jack brought some good ideas. He really got the band tighter...added some little things to the arrangements for the songs. Shortening up a bit here and there, his editing was just great. When you're in the middle of it, it just goes so quickly. Casey Chambers: One of the standout tracks from your debut is the epic..."Who's Behind The Door? "...a beautiful and powerful song about "the quest". How did that song come together? Randy Jackson: Yeah, I was in Texas at my grandparent's farm, which is right outside of Dallas. And I had some guitar parts that I had written in open tuning...in open G. Just a whole bunch of stuff on different cassette tapes. And I was a big fan of "2001: A Space Odyssey". The farm was way out in the country and it was quiet. I didn't have a phone. There weren't any distractions. The song had some religious air here and there in the lyrics, as well, and in a roundabout way, that was the biggest influence on the song. And I think between the open tuning and melody ideas along with the theme from "2001"...I came up with "Who's Behind The Door?". 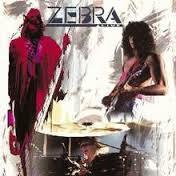 Casey Chambers: Music videos were the flavor of the times and Zebra had a number of entertaining clips. Did you have any favorites? Randy Jackson: Yeah, the video thing was just starting when we came on the scene. I think my favorite one as far as the video goes is "Wait Until The Summer's Gone". I think it's just because the way it was cut. The way it looked. The set design. It was cool. It was slick. 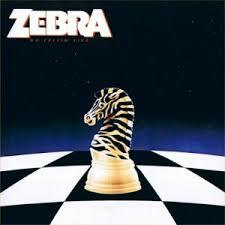 "Wait Until The Summer's Gone" - Zebra / "No Tellin' Lies"
The guy that did it...his name was Marty Callner. He had a lot of experience already working for HBO. I mean, he had been in the business for awhile. But this was kind of new to him, too. He had a lot of great ideas. So when you watch that video, although we did have quite a bit of influence, that's Marty Callner you're seeing there. He's got his stamp all over it. He's a master at what he does. I really did like that video. Randy Jackson: Yeah. (laughs) Again this was Marty Callner and he put it together. The only problem we had with this one was that the script required that we have a bunch of bear costumes. And the girl who was in charge of getting the sets ready and all the costumes, didn't do it. So we didn't have any bear costumes. "Bears" - Zebra / "No Tellin' Lies"
So we kind of had to rewrite the script from what it was...and I don't even remember what the idea of it was in the beginning. We just took what we had and rewrote it right there on the spot and shot it. And it worked. Our road manager was in the bear costume. We all had a good time doing it. Casey Chambers: Did Zebra ever have the opportunity to perform on television? Randy Jackson: Yeah, there was a show called "Rock 'N' Roll Tonight" that we did. I think it was on NBC. We went out to Los Angeles and did that. It was during the first album and we did some songs from that record. I think..."Who's Behind The Door? ", "Tell Me What You Want", "Take Your Fingers From My Hair", and "One More Chance" were the songs. Casey Chambers: So this was a show where you could stretch out and play a set. Randy Jackson: Yeah, but it was always with another band. On the night we did the show, there was...I don't know...I can't say who the other band was. You'd know who they were if I said it, but it's not coming to me right now. We would play a song and then the show would take a (commercial) break. They'd come back and they'd have the other band doing a song. It was in front of a live audience, but they would film it the week of the show. So they might film it on Wednesday and run it on Friday. Casey Chambers: In 1990, Zebra released a killer live album..."Live"...which never fails to shake off the dust on the speakers. But you guys also released another tasty little "live" nugget culled from one of your earlier performances for the "King Biscuit Flower Hour." Randy Jackson: Yeah, we did. The one you're talking about was done here on Long Island at Hofstra University. The crowd...it was our crowd. And I think it was during our second album. It gave us a chance to...well, we knew we wanted to get in there and do as good of a job as we could. After it was recorded, we went in and had the opportunity to mix it 'cause we recorded it in 24 track. We had Jack Douglas come in and do the engineering and the mixing on it. And we got some pretty good stuff out of the sessions we did. I was happy with the way it came out. Casey Chambers: Zebra is a great band to see live. Do you remember the first rock concert you went to? Randy Jackson: Yeah, it was 1964. September 19. In New Orleans. It was The Beatles. Casey Chambers: No way! You actually saw them, huh? Randy Jackson: Yep. My parents took my brother and me to see The Beatles. I was nine, my brother was eight and the Beatles had just come on the scene. A girl from down the street had brought a Beatles record down to me. I think it was "I Want To Hold Your Hand" and "I Saw Her Standing There. "...the 45. My parents had bought us the two Beatles albums that were available at the time. "Meet The Beatles" (1964) and "The Beatles' Second Album" (1964) Maybe their third album was out at that point, too, when we actually saw them. They were coming out with, like, three or four records a year. (laughs) Four albums a year! And I thought this was what was normal. Little did I know this was just completely abnormal for any musical group. And I didn't really know what I was seeing then...but I loved it. 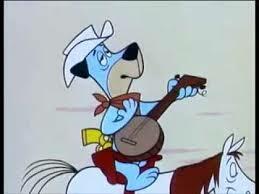 "Huckleberry Hound" was what we did before that. And then this rock band just took over the whole thing. It was exciting. I'll never forget it. We saw them at a stadium in New Orleans. It was actually in a high school football stadium right in the middle of City Park. There was a lot of teenage girls. They rushed the field and broke through two lines of police to get to the stage. And that was when The Beatles kind of stopped. That was the end of it...the end of the show and they left the stage. Casey Chambers: Those black-and-white images of teenage girls crying themselves shitless is insane. Randy Jackson: Yeah, it was the real deal. We were kind of up in the stands on the...stage right. And there was a family right in front of us and I guess they had brought their 15 or 16 year old daughter. And she had just lost her mind. She was trying to get onto the field and her father was holding her back. Not letting her go. And she was screaming and crying and I'm just looking at this going...this looks like a lot of fun! Casey Chambers: In 2003, you guys released your last studio album..."Zebra IV." It's a firestick, and arguably your best. One of those underrated rock gems that begs rediscovery. Yet you guys had been away from the studio almost 17 years before striking the matches again. Randy Jackson: Yeah, there was a lot of time in-between the third and the fourth record...but we never did stop playing. We'd always been playing live. A few of the songs we had already worked into our live set. And the rest of the songs, the ones that were written more around the time the record was released, are heavier than the ones on our third album. Songs like "Arabian Nights" ..."Why"..."Angels Calling." We had less keyboards and more guitars. I thought it worked and I'm proud of it. We play a lot of it in our shows and fans like it. Casey Chambers: It is a very good album. And you guys are still slammin' the bam on the road! Randy Jackson: Oh yeah! 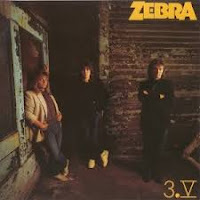 Zebra will be celebrating the band’s 40th Anniversary at the Patchogue Theater in New York, the day before Thanksgiving. On December 12th, we'll be at The Sanctuary in Dallas. Also, on December 13th, we're looking forward to rockin' the Wildley Theatre in St. Louis. And fans can always check our website for more details. Casey Chambers: Those are gonna be some great shows! I've been to the Wildley Theatre and it's a wonderful venue. Randy, thanks so much for hanging with me today. Randy Jackson: Yeah, no problem at all, Casey. Thanks a lot.